Delivers the most versatile, economical, and ecological hydrotherapy setup possible. 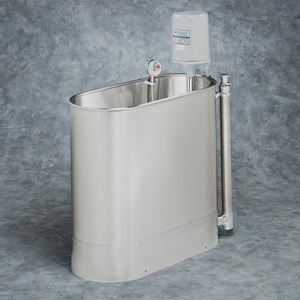 Itsr compact design saves space and the low-gallon capacity reduces water usage without sacrificing proper treatment. Provides comfortable and effective treatment of arm biceps & leg to the knee. 45 gallons, stationary.